Scan the programme of any UK science festival and you will see that we are living through a golden age of collaboration. 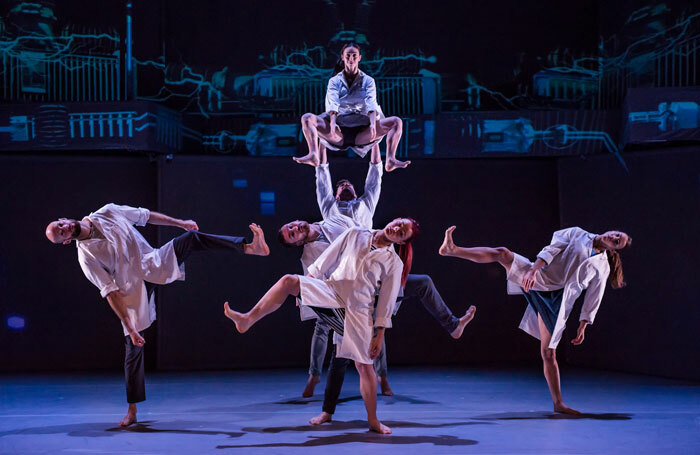 Whether it’s climate change, particle physics, public health or biodiversity, scientists can look to artists including dancers, choreographers and theatremakers to connect the public with their work. Veteran actor Alan Alda has established his Center for Communicating Science on the belief that, says the centre’s website, “scientists could be taught to communicate more if they learned to pay dynamic attention to their audience, connecting to them in a personal way, using improvisational techniques [Alda] had learned in 50 years of acting on stage and on screen”. This is happening across a wide variety of disciplines, and scientists are discovering that their aims and methods aren’t always so different from those of the performing arts. But what can theatre bring that scientists themselves cannot? Our interactions with science are often embodied. We ingest food, drink or drugs; we get scanned at the hospital or the airport; we press buttons on advanced machines to produce and share our work. This gives performers and artists a rich set of sensory experiences to play with. It also means that the most physical forms of performance are those that frequently engage with science. Proof of Subramaniam’s theory can be found all over the country. Charge, Motionhouse’s current show, is all about the role that electricity plays in our bodies, conveyed through circus dance and film. Attendees at the Manchester Science Festival (October 18-28, 2018) were treated to RashDash and Unlimited’s production Future Bodies and Shobana Jeyasingh’s piece Contagion, one of many cultural productions this year to mark the 1918 influenza pandemic. We often have difficulty making sense of something as big and unwieldy as a flu epidemic. Science is full of these big issues, thought to be incomprehensible or invisible, such as climate change or space exploration. Dancers, actors and performers can help us make sense of them. What they have is the storyteller’s instinct. 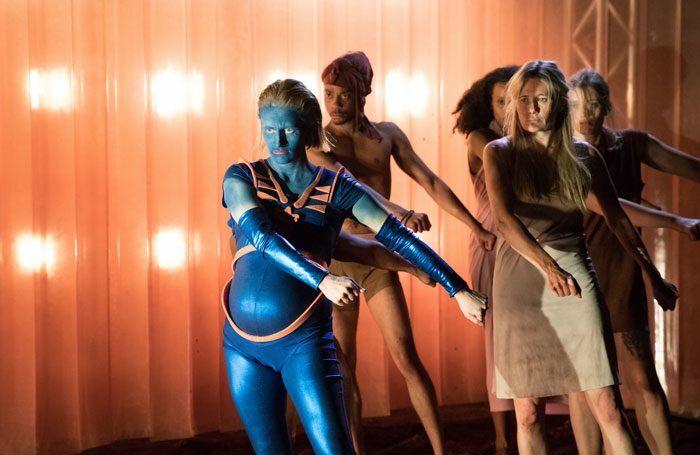 It’s one of the things that Alexander Kelly, co-artistic director of Sheffield-based theatre company Third Angel, thinks is the critical contribution of theatre: “Some discoveries, whether in quantum physics, space exploration or other fields, pose some big questions about who we are as human beings. They will have massive impacts on our lives,” he says. Third Angel brings a strong narrative quality to a world of science that can seem very impersonal and process-driven. “We’re interested in telling the story of what the research found but also the story of the process of discovery,” Kelly says, and thereby help locate these big concepts in the real world of lived experience. This isn’t a simple task. It takes a lot of research and operating in the space between people’s expertise. Flux Dance’s Hale describes how scientists will watch the company dancing and say “a protein doesn’t really do that, it would be nice if it could move in another way”. Playwrights have often found inspiration in the life and work of scientists. Tom Stoppard and Lucy Kirkwood return time and again to the rich dramatic possibilities of contrasting their characters’ lofty academic ideas with the muddled reality of their personal lives. But scientists are increasingly taking to the stage themselves. No topic is off-limits, no discipline too obscure. It needn’t even have a tangible aspect. A few years ago, Complicite worked with Marcus du Sautoy and Victoria Gould to devise and stage a mathematical play, X & Y. But how does a budding scientist become a good communicator? If they want to explore the potential of stand-up comedy, they might enrol in Science Showoff. 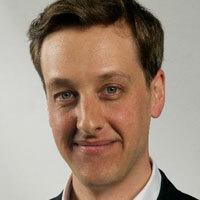 Established by Steve Cross, he describes it as “not quite a drama school for scientists, but not far off it”. The sort of methods Cross deploys will be familiar to many in the performing arts, but can be far outside the comfort zone of scientists who, Cross says, “are trained to pretend that everything is objective and in the third person”. He aims to “get them to be messy and to reconnect with the emotional side of the work they are doing”. For decades there has been a belief that art and science operate as two distinct realms. This is definitively no longer the case. Both theatre and science have become enriched by each other. So why not look up your nearest science festival? There’s bound to be a performer worth seeing.